What makes an English Door a cut above the rest? Close up on the detail of an English Door front door. Timber-like panelling, quality fixtures and fittings and a mat finished woodgrain effect create a door that is a cut above your average composite. THE ENGLISH DOOR COMPANY™ OFFERS AN EXTENSIVE COLLECTION OF TIMBER ALTERNATIVE DOORS THAT WILL ENHANCE ANY HOME. The range of designs, colours, styling and glazing options means you can create a door that is truly unique to you. In a different league from your standard composite door, an English Door boasts real attention to detail in both the style and construction of the door, good quality fixtures and fittings (often lacking on some composite doors) and is hand finished, to give you that real sense of quality. AN ENGLISH DOOR COMPANY DOOR IS NOT JUST ANOTHER COMPOSITE DOOR! All English Doors are custom made to your exact requirements – including bespoke and custom fit door measurements. Particularly popular are the 1930s style of doors, which we believe are the best and most authentic looking uPVC doors on the market. 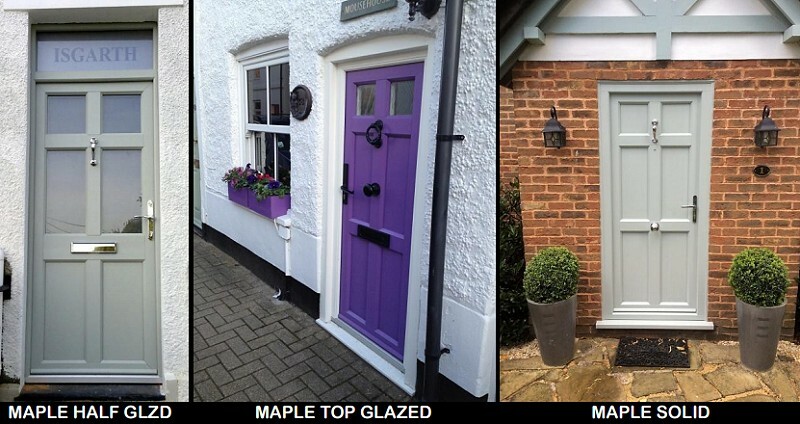 Would you find a composite door that looks like any of these? That has the style, attention to detail and the almost genuine look of timber? No, you wouldn’t. The innovative multi-locking rim latch escutcheon lock (which resembles a traditional Yale style lock) just adds to the authentic look. This is proving a very popular choice for customers, and pretty much all of our English Doors are installed with a rim latch now (the stylish lever handles are still available though). 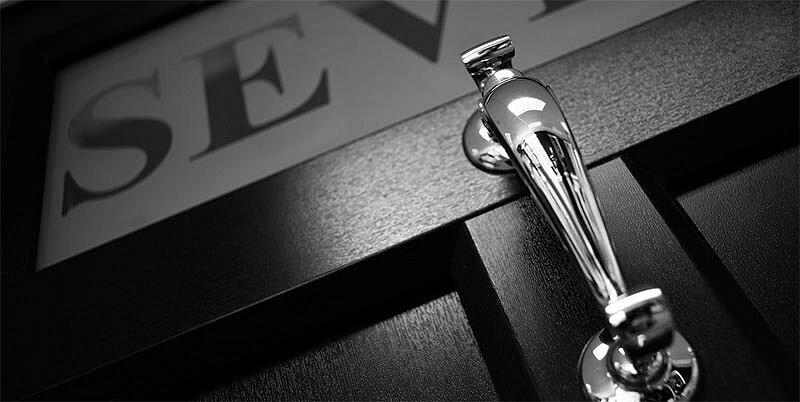 Each main style of door can be personalised to the customer’s requirements. You can choose to have your door solid, or top glazed or half glazed. A standard or wide midrail (we like the wider option!). Colour – standard foils or 100% bespoke? Furniture, glass style and type. The choice is yours. 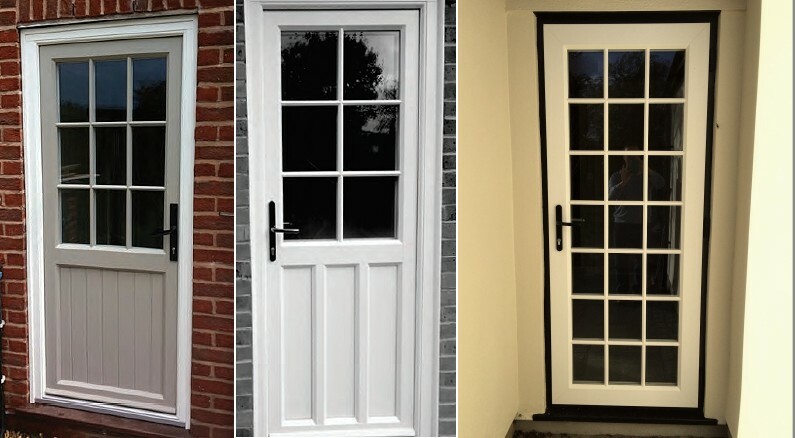 The EDC Ballingdon door shown in top glazed and half glazed options. The EDC Maple door shown in half glazed, top glazed and solid options. Why should the front get all the attention? Sometimes we want a good looking top quality door at the side or back of the house too. Well the good thing about the EDC is that they do just that. If you want something that looks more like an authentic wooden door than your bulk standard uPVC resi, then this is for you. EDC back and side doors. These can also be used as porch doors or front doors! 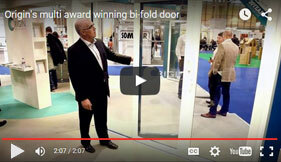 These doors are highly important to any home as they still need to keep intruders out and keep warmth in. Treated with the same level of attention as our front door ranges, offering you a variety of styles and colours, these doors are manufactured to the same exacting high standards and provide the same excellent thermal insulation. 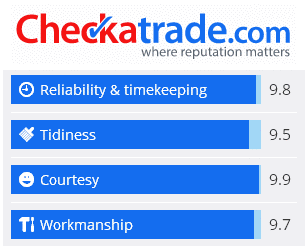 The doors are extremely durable and will retain their good looks for many years without the need for painting or other maintenance, despite enduring the knocks of day to day life. For further details on our top of the range doors, check out the brochures on our Brochures and videos page, and take a look at the English Door Company online.